*This story was updated Wednesday morning to add an additional comment from the U.S. Department of Justice. The case of Reynaldo Castro-Tum — a Guatemalan migrant who crossed the border age 17 — had for years been in the hands of a Philadelphia immigration judge named Steven Morley. Then Attorney General Jeff Sessions took it over. By April 2016, Castro-Tum had missed five immigration court hearings, and Morley was concerned that the migrant — whose address was listed as a Philadelphia-area trailer park where migrants often came and went — wasn’t receiving the court’s notices. So Morley suspended the case through a process called “administrative closure” and asked immigration officials for more information about Castro-Tum’s whereabouts. Enter Sessions, the nation’s top prosecutor and the ultimate supervisor of the 330 immigration judges who hear deportation cases across the country. This spring, his Justice Department assigned the case to a different immigration judge, who ordered Castro-Tum deported after he again failed to appear in court. The case of Castro-Tum exemplifies the near-absolute power that the nation’s top law enforcement officer has over what is ostensibly an impartial judicial system. Immigration judges, like their colleagues everywhere from bankruptcy courts to the federal bench, are expected to consider both sides of an argument and to judge fairly. But the small pocket of the American judiciary that hears deportation cases sits in a different branch of government: From their post in the Department of Justice, judges report to a partisan prosecutor who has the power to overrule their decisions. In such a system, some wonder, how can justice be blind? Frustration with that arrangement didn’t begin with President Donald Trump’s administration. 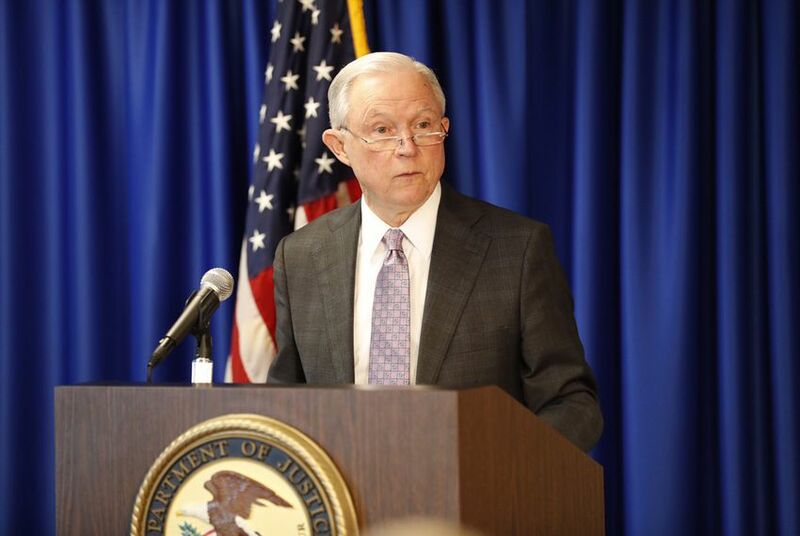 But Sessions, experts say, has more effectively utilized the peculiar structure of the immigration court system to influence and sometimes overturn the outcome of immigration hearings, all in furtherance of the Trump administration’s policies. Those priorities, as critics see them, are to deport as many migrants as possible as quickly as possible.